If you’ve never had the need to get rid of a junk car, count yourself lucky. Dumping a clunker can be a real hassle. The trick is to minimize your financial loss without spending a huge amount of time, effort and expense. I’ve had to unload more than a few junkers over the years and it’s never been fun. For most consumers, junking a car is a losing proposition. But for entrepreneurs, there’s plenty of money to be made. Think about all of the print, TV, and radio advertisements you’ve endured for WeBuyAnyCar, for example. Their pervasive jingle is a highly-effective earworm. If they weren’t making a pile of money off the transactions, they wouldn’t be able to drop so much on advertising. 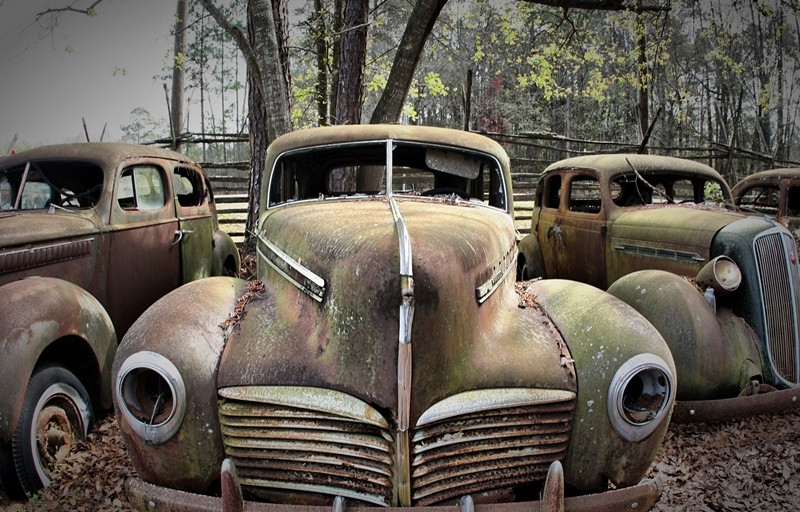 For WeBuyAnyCar and similar firms, junk cars can be gold. Craigslist – Listing a car on Craigslist is simple. Dealing with the knuckleheads that respond to your listing can be frustrating. The idiot to good person ratio is ridiculously high. Street Sale – There’s no cost involved here. Just drive your clunker to a place where there’s a good amount of traffic and stuff a couple of signs in the window. If someone steals the car, you may lose a few bucks, but hey, at least you didn’t have to pay someone to haul it away. Trade it in on a New Car (or another used car) – You will always take a financial beating when you trade in a beat up old car at the dealer. But it’s one of the easiest options of all. The dealer can profit handsomely on the transaction. WeBuyAnyCar, etc – There’s a slew of services that will give you a price and come to your place to pick your car up with flatbed and hand over a check. It can be convenient, but they need to make a (healthy) profit, so expect to get less. Your Local Garage – Do you know a friendly mechanic? Someone that might be willing to make a few fixes to old paint in order to make it more marketable and throw it out on the lot? The Buddy System is a great thing. Part It Out – Most cars are worth more when disassembled and sold as individual parts. Take a look on eBay to see which parts are most in demand for your vehicle. Place a handful of ads to test the waters. Once you’ve cherry-picked the best parts, you can send the remaining carcass off to the junk yard. Check the approximate value of your vehicle before you make any moves, starting with the Kelly Blue Book trade-in values. Make a list of things that you know need to be fixed. Don’t count on your potential buyers overlooking these faults. They will subtract the cost of repairs from their offer. A vehicle that’s running is worth more than one that is not. At the bottom end, you’ll save a few bucks (on towing costs) by being able to drive the vehicle to the location where it leaves your hands. Avoid any extra costs and stay safe. Don’t drive a vehicle that is not road worthy.